Step out in style this autumn/winter with Olivia R our Women's brogue country boot in almond grain leather, features include an all round leather storm welt for additional water resistant properties. Pair these ankle boots with blue jeans, checked shirt and a Cashmere V-neck jumper and you'll be a country style icon. Fully handcrafted in our Northamptonshire factory, England. Showing 2 of our total 6 reviews, with an average rating of 5 stars. Read all 6 reviews for Cheaney Olivia R Wingap Brogue Boot in Almond Grain Leather. I feel like a princess - albeit a rustic one! These boots are beautifully made. Soft, supple comfort from the minute I put them on. I bought the almond grain, which gleams a nutty brown. They've walked a few country paths and done the shopping - mud or tarmac - my feet love them. Practically, the soles give a goood grip, as solid and secure as my old walking boots. My only wish was they had come laced. I resorted to Google for 'straight bar' lacing tutorial. Worth every penny. 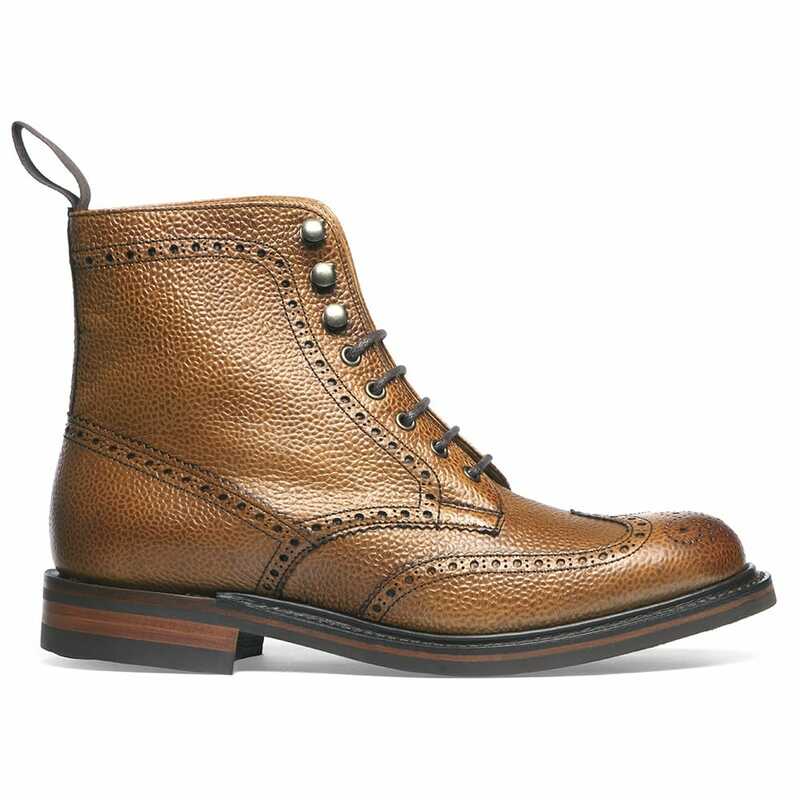 Thank you, craftsmen/women of Cheaney. I bought these about 12 months ago and I love them to bits. I have worn them nearly every day. I pick my clothes to try to make sure I can wear them. They are really smart for work, but with the grip sole they are great for taking the dog out at lunchtime in all weathers. They are incredibly comfortable. They have worn very well. Am thinking about getting another pair in black to increase my chances of never having to wear another pair of shoes.